(Press Release)—Lauded by critics as “a sleek, thrilling epic” (Owen Gleiberman, Entertainment Weekly), “a clever, exhilarating action adventure” (Claudia Puig, USA Today) and “stratospherically entertaining” (Peter Travers, Rolling Stone), director J.J. Abrams’ phenomenal global sensation STAR TREK INTO DARKNESS makes its highly-anticipated debut on Blu-ray, Blu-ray 3D, DVD and On Demand on September 10, 2013 from Paramount Home Media Distribution. Fans can be the first to own the film on Digital when it arrives three weeks early on August 20th. Boasting “spectacular visual effects” (Steven Rea, Philadelphia Inquirer) and “one of the best villains in recent memory” (Joe Neumaier, New York Daily News) STAR TREK INTO DARKNESS delighted audiences around the world, earning a coveted A CinemaScore. The STAR TREK INTO DARKNESS Blu-ray/DVD and Blu-ray 3D/Blu-ray/DVD combo packs with UltraViolet™ are bursting with behind-the-scenes material detailing how the filmmakers delivered a rousing epic filled with both spectacle and soul. For the first time, the special features included in the combo packs were produced entirely by Abrams’ Bad Robot Productions and captured in spectacular high quality on Red Epic cameras for a uniquely intimate perspective of the filmmakers’ process. Steven Tyler: ‘American Idol wasn’t all fun"
Aerosmith rocker Steven Tyler has parted ways with theAmerican Idol producers by revealing the TV talent show wasn’t all fun. The Love in an Elevator singer quit the show after two seasons earlier this month – a day before fellow judge Jennifer Lopez followed him out the door – and he is now admitting he only agreed to sit alongside J.Lo and Randy Jackson for the cash, and to give his bandmates the chance to calm down after he announced plans for a hiatus. He tells Rolling Stone magazine, “It was something to do while the storm blew by, to be honest… not my cup of tea. But Tyler admits he didn’t like the workload – or the prompting to be meaner, like Simon Cowell, the judge he replaced: “It was just hard work – seven-hour days and then I went and did the (Aerosmith) album for eight hours after that. Davy Jones’ former Monkees bandmate Micky Dolenz appeared on both Today and Good Morning America to remember his late friend. In a cheerful GMA interview (below), Dolenz reminisced about the pair receiving good reviews — even from Rolling Stone — on their tour together last year; and Jones’ enthusiasm early in their career when he heard their music on the radio. 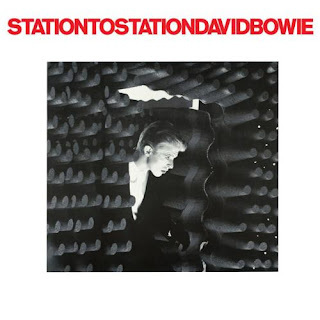 David Bowie‘s hugely influential 1976 album,Station To Station, was released this week by Virgin/EMI in expanded Special Edition (3CD and digital download) and limited Deluxe Edition (5CD+DVD Audio+3LP) packages. To celebrate the release, four DJs from Los Angeles public radio station KCRW (89.9 FM and KCRW.com), Jeremy Sole, Anthony Valadez, Eric J Lawrence, and Chris Douridas, have each remixed the album’s lead single, “Golden Years.” Station To Station was recorded in Los Angeles, so it was fitting for some of KCRW’s leading tastemakers to take on the task. Each DJ took a unique path in recreating, deconstructing or re-imagining the classic song. David Bowie’s influential 1976 album, Station To Station, was released this week by Virgin/EMI in expanded Special Edition (3CD and digital download) and limited Deluxe Edition (5CD+DVD Audio+3LP) packages. To celebrate the release, four DJs from Los Angeles public radio station KCRW (89.9 FM and KCRW.com) have each remixed the album’s lead single, ‘Golden Years.’ Each DJ took a unique path in recreating, deconstructing or re-imagining the classic song. All four remixes can be streamed online now, exclusively at http://www.kcrw.com/bowie. Eagle Rock Entertainment’s critically acclaimed Classic Albums series has recounted the back-stories of some of popular music’s most enduring and beloved albums. 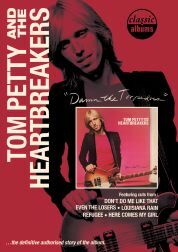 On August 3, the next installment, Tom Petty And The Heartbreakers: Damn The Torpedoes, will be simultaneously released on DVD and Blu-ray [Pre-book Order Date July 9, MSRP $14.98]. The documentary will also be broadcast on VH1 Classic. Unweaving the creative process behind this all-American rock ‘n’ roll gem, this 56-minute documentary presents newly filmed interviews from Heartbreakers Tom Petty, Mike Campbell, Benmont Tench, and Ron Blair, as well as co-producer Jimmy Iovine and engineer Shelly Yakus. Completing this package is 42 minutes of bonus features not included in the upcoming VH1 Classic broadcast, as well as in-depth multi-track tape analysis, and new and archival performances. It takes a concoction of memorable hooks, artistic energy, and a lasting impression to create a work worthy of the label “classic album.” Damn The Torpedoes, featuring the hits “Don’t Do Me Like That,” “Refugee,” “Here Comes My Girl,” and “Even The Losers,” still has that fresh, dynamic sound that skyrocketed it to #2 on the U.S. charts and into the hearts of audiences worldwide. Now more than 30 years after its release and the emergence of Tom Petty and The Heartbreakers as a major musical force, Damn The Torpedoes is a worthy addition to theClassic Albums library. Previously delving into definitive works by Elvis Presley, The Doors, Frank Zappa, Jimi Hendrix, Nirvana, Meat Loaf, Phil Collins, U2, Bob Marley, and most recentlyBlack Sabbath, Classic Albums has peeled away the layers, via comprehensive interviews, studio recreations, and vintage footage, to reveal the stories behind the music. Petty and the Heartbreakers are currently on the road touring North America. Their latest release Mojo was issued on June 15 on Reprise / WEA and debuted in Billboard magazine charts at number 2 with Rolling Stone calling it one of Petty’s best ever. For more information on Mojo and Tom Petty and the Heartbreakers tour, go to TomPetty.com. Eagle Rock Entertainment is an international media production and distribution company operating across audiovisual entertainment programming. Eagle Rock Entertainment works directly alongside talent to produce the highest quality programming output covering film, general entertainment and musical performance. Eagle Rock Entertainment has offices based in London, New York, Los Angeles, Toronto, Hamburg and Paris. Get Greatest Hits On Amazon Now!